My interest started when I read about the great results of "Braggs" natural cider vinegar use for osteo-arthritis.. Every morning, I take a tablespoon in very warm water along with a tablespoon of raw honey (I buy the raw honey from Dr. Mercola). It's been a natural solution to keep my arthritis under control without harmful side affects of many prescriptions on the market...A great added benefit..was how the cider vinegar helped control acid reflux..and blood sugar. Oh yes, there is a great shrimp recipe at the end of the article. Apple cider vinegar is one of those incredible "do-all" substances that is as comfortable in the medicine cabinet as it is in the garden shed. So what’s dirty about that? You see, the natural fermentation of ACV has been done for hundreds, if not thousands, of years by numerous cultures. Crushed raw apples are placed in large wooden barrels and allowed to ferment naturally over time. The resulting liquid is neither clear nor "perfect" looking. 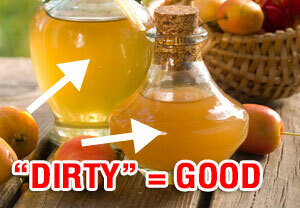 In fact, natural ACV should be brownish in color and contain what is known as the "mother." The cloudy and somewhat cobweb-like structure that you may see in raw apple cider vinegar is endearingly referred to as the mother, because of its life-giving properties. As the vinegar ages, the mother becomes more pronounced, and if you hold the vinegar bottle to the light you can almost always see the makings of the mother - usually suspended close to the bottom of the jar. In the mother are valuable nutrients and beneficial bacteria that make unprocessed apple cider vinegar so special. 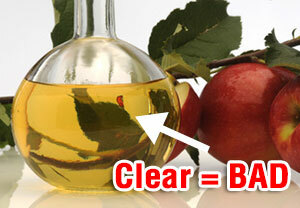 DON'T BUY CLEAR VINEGAR: Most vinegar is processed before it hits the shelves, to get rid of the mother of vinegar. This destroys all the nutrients that the vinegar offers. ACV has been know to aid with dry skin: Equal parts of apple cider vinegar and Aztec Secret Indian Clay will help todetoxify and clean out your pores. Spent too much time in the sun and burnt?Forget the creams and lotions for your sunburn, try applying a cloth soaked in apple cider vinegar to your burned skin. It will provide instant relief and rapid healing. Do your arm pits stink and are you concerned with conventional deodorants and the aluminum in them?Although the smell of apple cider vinegar is strong, it acts as a powerful deodorant. Rub a little under your armpits before you workout and odor will be a thing of the past. If your feet or hands are swollen, try rubbing a little apple cider vinegar into them. 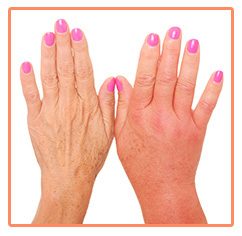 You will experiencecool relief and a reduction in swelling. Living near the Atlantic Ocean, I am very fortuntate to have access to fresh, non-toxic, wild-caught shrimp. 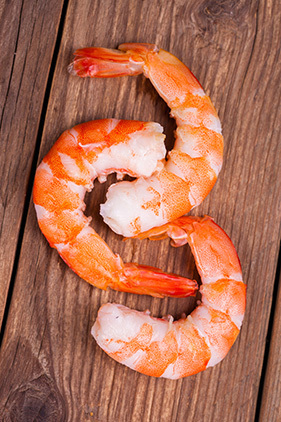 Not only are shrimp great sources of high quality lean protein, but they are also loaded with zinc and vitmain B12. This is my very favorite shrimp recipe which has it's roots in the Chespeake Bay region. The ACV in this recipe not only gives the shrimp a delicious flavor, it also helps loosen the meat from the shells, making them quite easy and fun to peel. Make sure you get shell-on shrimp, as the flavor will be even better as the juice sits between the shell and the meat without overcooking, making tiny marinade pockets. Drain the shrimp and enjoy! there is always something to be thankful for ! good advice I am back to my Vinegar drinks, love the shrimp dish. may try it.